Adapted from the DC Comics character, the serial came to radio as a syndicated show on New York City's WOR on February 12, 1940. On Mutual, it was broadcast from August 31, 1942, to February 4, 1949, as a 15-minute serial, running three or, usually, five times a week. 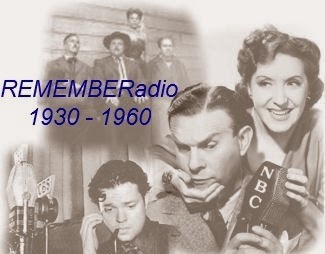 From February 7 to June 24, 1949 it ran as a thrice-weekly half-hour show. The series shifted to ABC Saturday evenings on October 29, 1949, and then returned to afternoons, twice-a-week on June 5, 1950, continuing on ABC until March 1, 1951. In all, 2068 original episodes of The Adventures of Superman were aired on American radio. 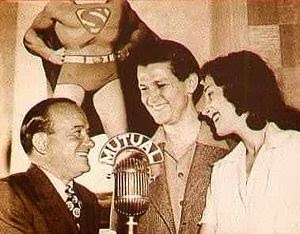 WIKIPEDIA Just as Superman's true identity remained a secret, the identity of radio actor-announcer Clayton 'Bud' Collyer also remained a secret from 1940 until 1946. That well known signature opening, one of the most famous in radio history, was delivered by Jackson Beck, the announcer-narrator for the program from 1943 to 1950.